The art & biology submissions for VIZBI 2016 are now online at http://vizbi.org/Posters/?category=Art&year=2016. 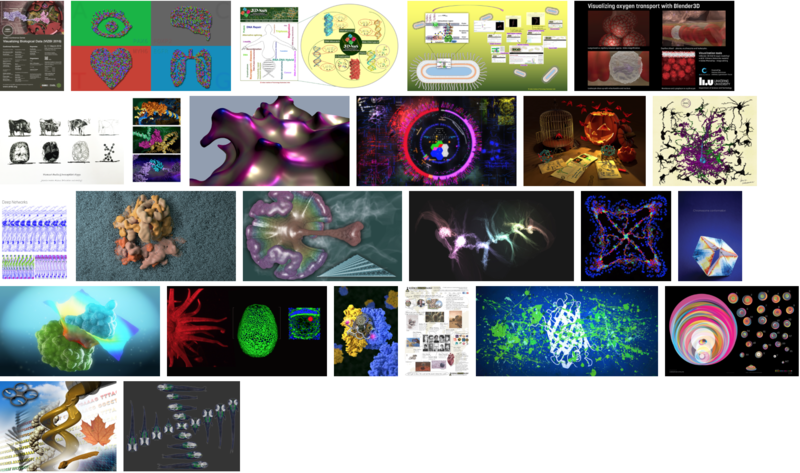 The Autodesk Art & Biology Award will be decided later today for the most popular submission, voted by participants. This entry was posted on Friday, March 11th, 2016 at 21:50.